Do you want braces but don't want to wear “train tracks”? Don't think you have the discipline to wear clear aligners? Dont worry! You still have the option of braces. Let’s talk lingual braces. The advance of modern orthodontic treatment means patients have more options when it comes to their treatment. Lingual braces look and work in the same was as traditional metal braces. Lingual braces are fitted on the inside surface of your teeth, next to your tongue. This means they can be seen. Lingual braces are very effective and are very effective and are less likely to cause decalcification and decay. Once fitted, you may feel discomfort for the first 10 days. After this period has passed, you should find lingual braces easy to live with and they should not impact on your lifestyle. What’s good about them? The gold alloy brackets are small and comfortable to wear. Do not harm your teeth. Do not need to remember to keep taking them out and putting them back in. More expensive than traditional braces. Lingual braces are still fixed braces. You can not remove them like clear aligners. You may get some discomfort and sores on your tongue until you get used to them. You may develop a lisp when the braces are first fitted. Don't worry! This will only last until you are used to the braces. How will I know if I am suitable? Your dentist will tell you. Simple as that. They will look at the teeth and how you bite and be able to determine if you are suitable. What if I can't have lingual braces? You still have clear aligners and fixed braces to choose from! It’s not the only option for discreet braces. It is unlikely that you may be unsuitable for lingual braces. Your dentist may advise on a different option if they feel it would suit your treatment needs better. After you have had your consultation and new patient exam, you would next come in for your fit appointment. Depending on the practice you choose this could be done at your new patient exam if the impressions are taken at your consultation. The fit appointment would take around an hour. The brackets will be “glued” on to your teeth using composite material (filling material), interdental stripping if needed would be carried out and then the wire placed. Will they affect the way I bite if they are on the back of my teeth? No, you will be able to bite as normal. How often do I have to come back during treatment? A review on treatment is normally needed every 4-6 weeks to ensure the braces are doing their job and to change and tighten the wire if needed. Can I eat normal foods? This is a positive of lingual braces. With normal fixed braces the wire may discolour with certain foods like red wine, curry etc but because the braces are on the back of your teeth you can eat away and you won't notice. Dentists will advise you to cut up hard foods like apples and to avoid chewing gum and toffee but you will not feel too restricted in the things you can and can’t eat. What can I expect to pay? Why are they usually more than fixed braces? They are fiddly to fit and some dentists will need longer appointments to fit and adjust them. The brackets are usually made in an external lab and sent back to fit your teeth. These are costs that need to be taken in to account. 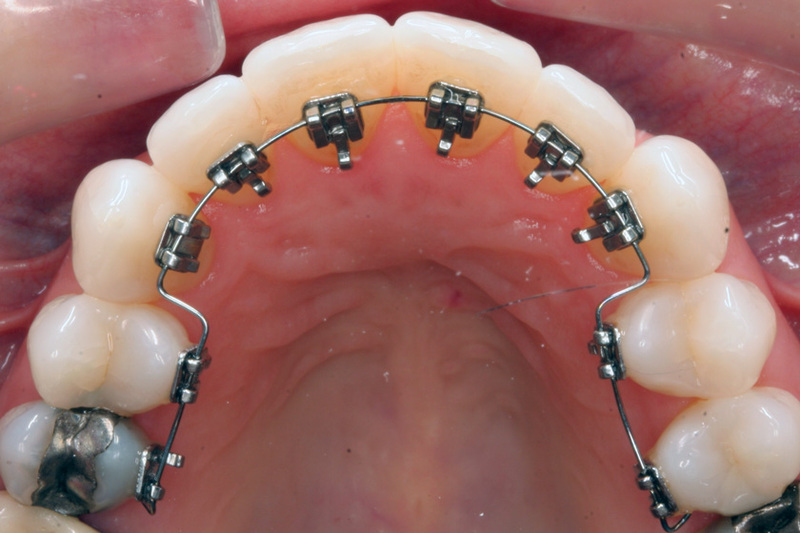 Lingual braces can cost anything from £2500.00 upwards depending on the movement needed. Can any dentist fit lingual braces? Any dentist can carry out brace treatment. General dentists will be able to fit braces on a straight forward case. They will have had some training in fitting braces and moving teeth. This does not make them an orthodontist. If any treatment needs an orthodontist, your dentist will refer you for specialist advice. How do I know which dentist is the best? Go to a few consultations and see how you feel about the practice, dentist and price. Some practices may have a good price on the braces but do not include extras like whitening. No one will be offended if you say you are going to other practices for quotes. We expect this so don’t worry about telling us. Are lingual braces better than normal fixed braces? Yes and no. This purely depends what you want out of braces. Some people like that they are not visible and you don’t have to worry about removing them. Some people prefer clear aligners. Its personal preference. They do however, move your teeth quicker than the aligners and they are more invisible than the fixed braces on the front of your teeth.